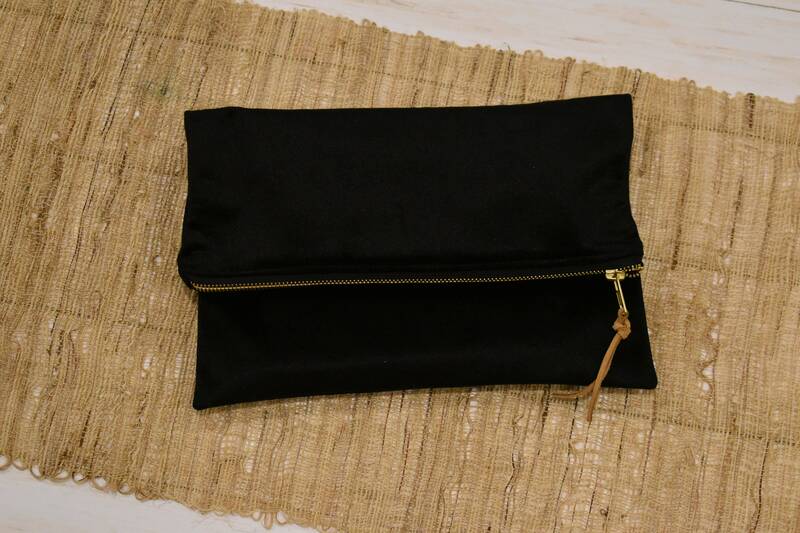 Enjoy a stylish black clutch bag to help carry and protect your custom painted bible! 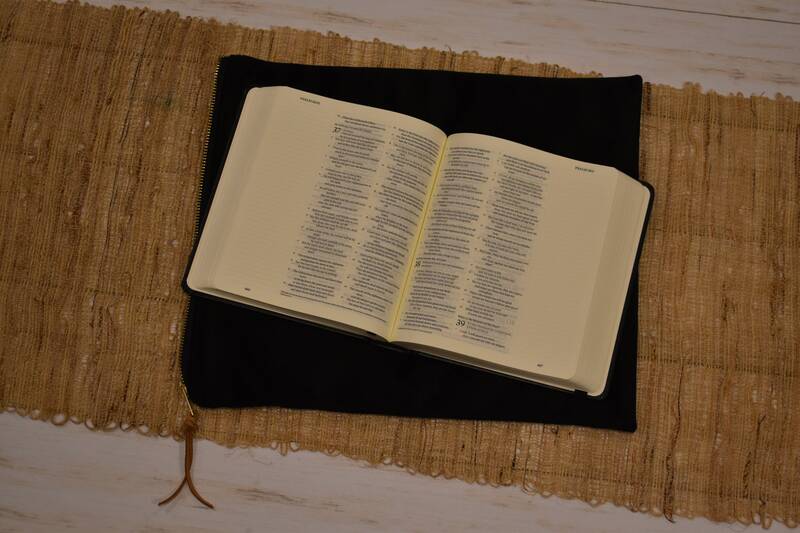 The Whimsy Brush bible bag come custom fit in a beautiful high quality faux velvet. 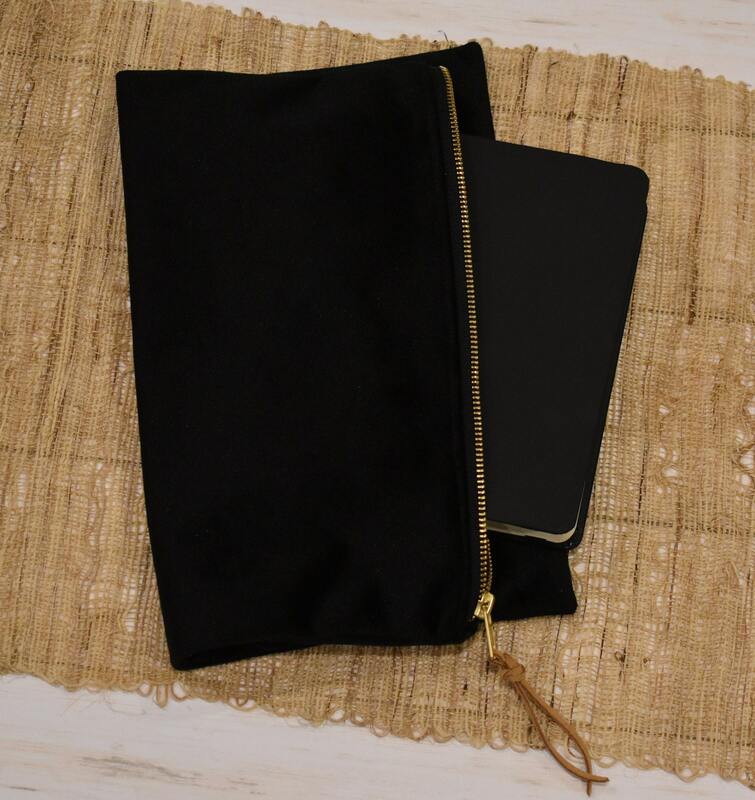 The velvet bags are a fold over clutch style purse. 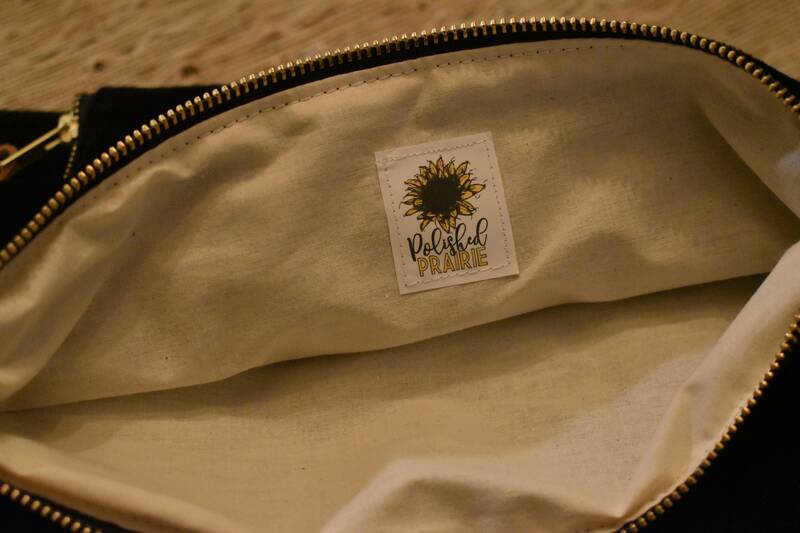 Fully lined with natural muslin, gold zippers and finished off with a leather zipper pull.